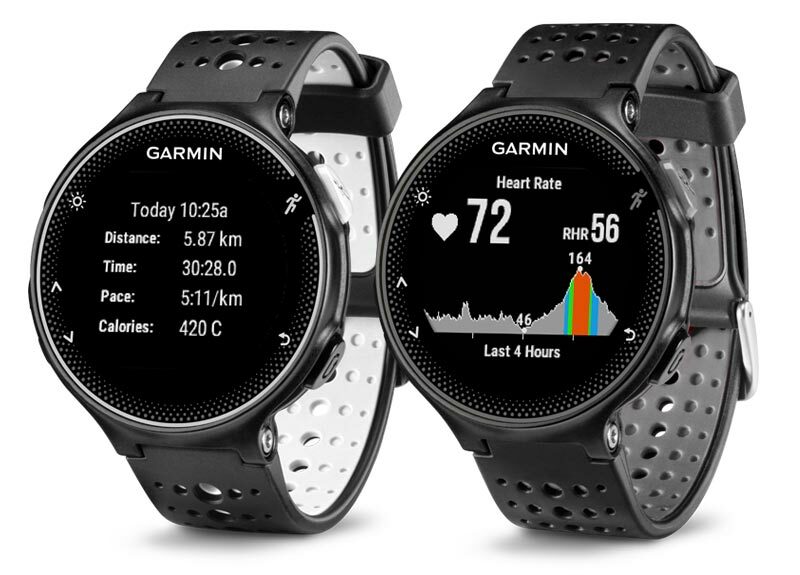 Garmin is a leading brand in wearable fitness technology, and their Forerunner (“FR”) GPS running watches have become essential to runners everywhere. With a variety of different models available, it can be hard to decide which product is right for you! Both the Garmin Forerunner 230 and the Garmin Forerunner 235 are great options, and the similarities between the two watches outweigh the differences. Before exploring the features of each watch, let’s take a look at the technical specifications. As you can see, the technical specifications of both watches are very similar, with two notable exceptions: wrist heart rate and battery life. The Garmin Forerunner 230 offers battery life far superior to that of the Garmin Forerunner 235. It seems that the additional features packed into the Forerunner 235 really decrease the overall battery efficiency – if long usage times between charging is important to you, you may consider the Forerunner 230. One notable difference between these two watches is the ability to track heart rate. While the FR230 includes a chest strap for heart rate monitoring during exercise, the Forerunner 235 offers full-time heart rate tracking through a wrist sensor in the watch itself! 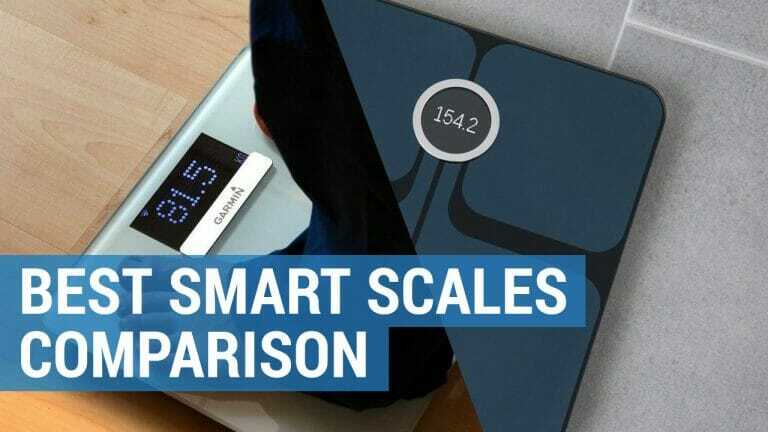 If you are interested in seeing your heart rate data at all times – a feature that will be helpful in estimating your total calories burned each day – the Forerunner 235 is the clear choice. There are some exciting features that are common to both the Forerunner 230 and 235. After all, both are smartwatches, and offer the user more than just fitness tracking. Both watches connect to the user’s phone to deliver notifications such as call, text, and calendar alerts. Both offer personalization in terms of the watch face style. 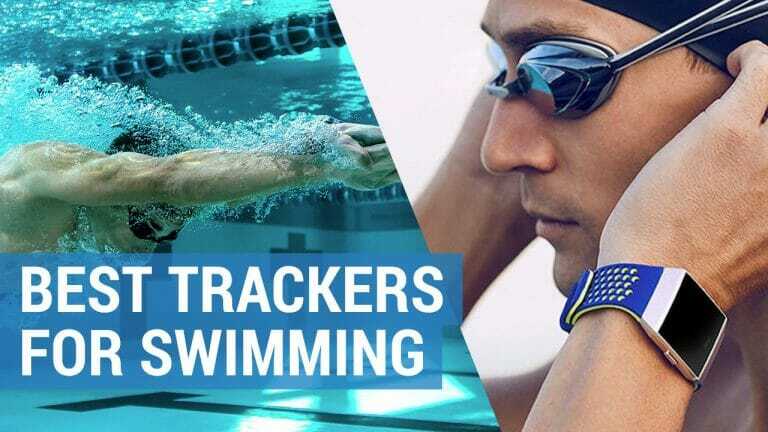 Of course, both watches also offer a variety of fitness tracking features – downloadable running plans, a race time predictor, and a cycling mode among them. The Garmin Forerunner watches are heavily marketed towards runners, so run tracking is a very important feature. Both the Forerunner 230 and 235 offer GPS run tracking for outdoor runs, as well as an accelerometer to track steps and distance for indoor running. Whether you’re running at the park or on a treadmill, both watches will perfectly capture your total distance, time, pace, and split times. The Garmin Connect app available for both iPhone and Android devices connects seamlessly to the Forerunner watches, allowing you to easily view charts and data about your runs. It’s a great way to measure progress with the push of a button! The Forerunner 230 is still a great option for people who just want to know how many calories they burn during exercise, though wearing the chest strap can be uncomfortable for some people. The benefit is, as mentioned above, a much longer battery life in the watch itself. Garmin Forerunner 230 and Forerunner 235 running watches are available in three separate colors; each offers a modest, dark color option as well as a couple of brighter styles. However, the color options themselves differ for each watch. Other than the black and white/gray options, there isn’t much overlap in the color schemes between the two watches. If you want a watch in your favorite color, that may help you decide between them. 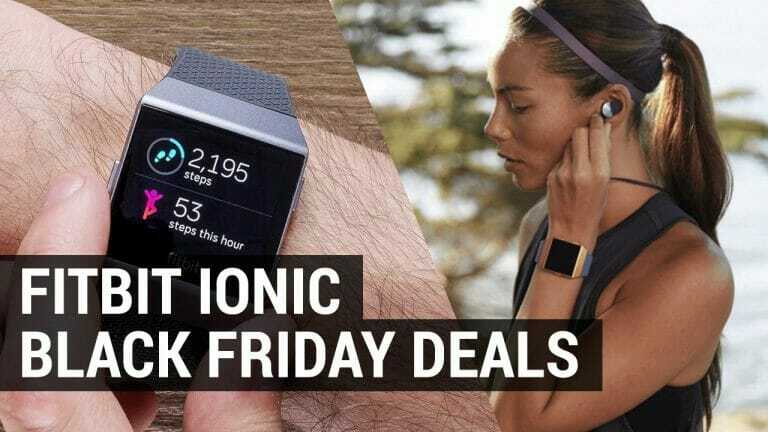 In deciding which fitness watch is best for you, the price is a natural consideration. While there isn’t a huge variance in price between the 230 and 235, it is certainly something to take into account. The Forerunner 230 can be purchased as a watch only or as a bundle with a chest strap for monitoring heart rate during exercise. Most runners would probably be interested in having the heart rate data from runs, so the bundle option is a natural choice. If you already have a Garmin chest strap from a previous watch or can find one cheaper, purchasing the watch only could be a great option! The feature-packed Forerunner 235 is priced a little bit higher. There is no chest strap bundle option since a chest strap is not necessary with this model. Both the Garmin Forerunner 230 and 235 are great running watches for beginners and serious runners alike. 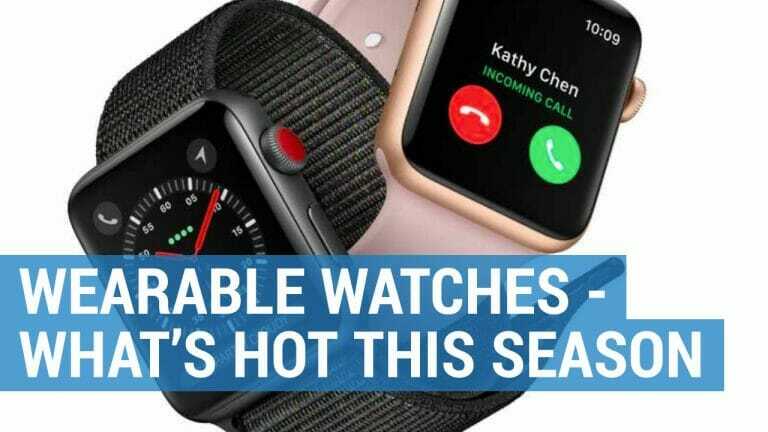 These watches come in a variety of stylish covers, are lightweight, and have a great battery life. All watches track running via both GPS and accelerometer technology and connect to an app for visualization of your run data. The most notable differences between these two models are battery life and heart rate tracking. For battery life, the 230 shines with 16 hours of training time and a whopping five weeks of regular watch usage. If getting a lot of use between charges is important to you, the 230 is a clear choice. However, if the convenience of full-time heart rate tracking without a chest strap is on your must-have list, the Forerunner 235 is the winner – especially since it’s only priced slightly more. No matter which model you choose, your running and fitness is sure to improve with these advanced and stylish running watches!